Barbara offers a wide range of services that includes assessing, visioning, designing, and guiding organizations to meet their goals. Her expertise is that she sees the bigger picture and then makes it clear to all stakeholders. Let Barbara help you facilitate your school or organization to design customized, sustainable learning environments that engage and empower learners and educators. 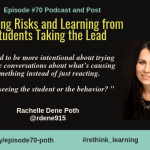 Join our Twitter chat using #rethink_learning with co-host Shelly Vohra @raspberryberet3 every other Monday at 4 pm PT, 5 pm MT, 6 pm CT, and 7 pm ET. Best for groups of 20 or more who would like to schedule and create their own customized version with facilitation and coaching. 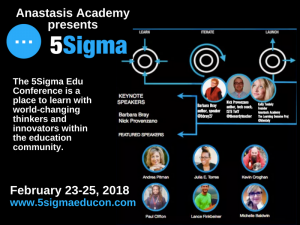 Each of these courses is being redesigned to include strategies for learners to develop agency and change teaching practice. Look for new information about different offerings that will make the courses more interactive. There will also be new online and hybrid courses based on feedback from users plus developing coaching programs around those. Contact Barbara for information and about pricing and requests for shorter modules customized to fit your needs. Join the conversations. 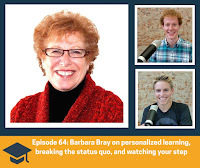 Check out the conversations Barbara has with educators, leaders, and change agents who are passionate about transforming teaching and learning. 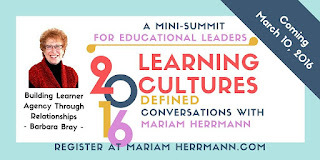 Personal Professional Learning and You! facilitate the design of strategic plans. write your final strategic plan as one voice. contribute articles and columns on agency, creativity, and joy. 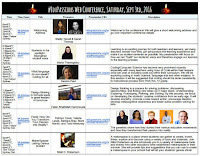 write guest posts on other people’s or organization’s blogs. 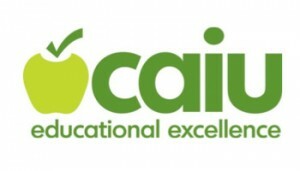 assist with articles or chapters on the change in education. The Dr. Joy Show Leading Change and Empowering Others! Future20 presentation on Passion and Purpose: What is your Why? 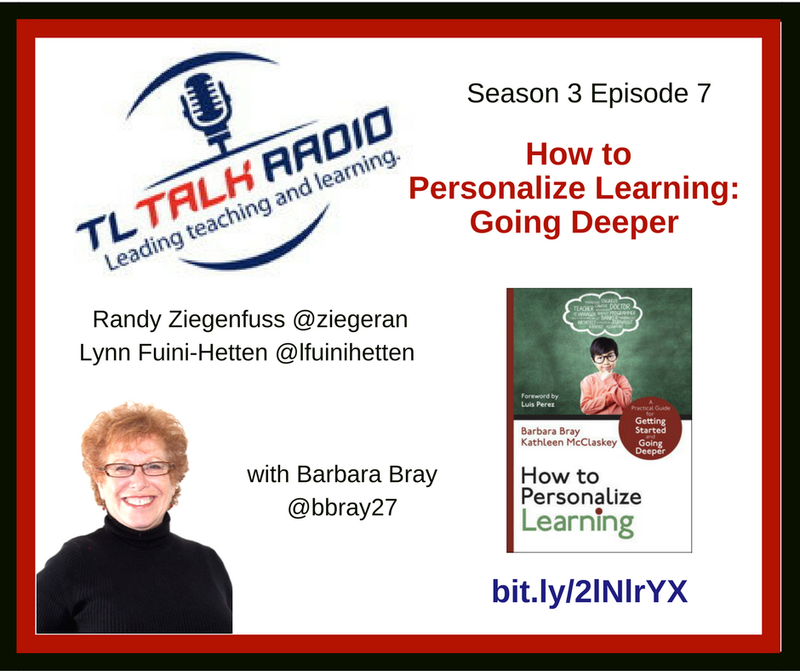 interviewed Barbara (@bbray27) on March 7, 2017 for Season 3 Episode 7 on How to Personalize Learning and Going Deeper about Learner Agency. 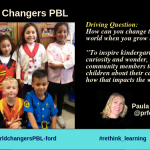 This session focused on how students can become self-directed, independent learners with project-based learning activities using design thinking and technology. Barbara and Lori shared examples and models of technology using a process in implementing PBL. Participants experienced the design thinking process as learners themselves. We hope they walked away with some ideas they can use in their classrooms. Barbara raffled off two signed books. 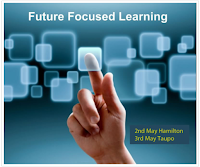 Barbara did the opening keynote on the “Future of Learning” and why it is important for our kids to have the skills they need for their future. 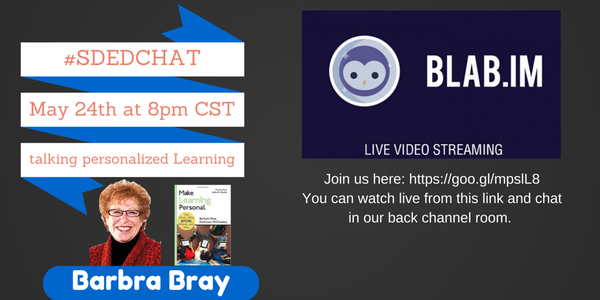 She share why innovation and creativity is crucial for learners today. Lori Roe, Instructional Technology Specialist, Cape Henlopen School District, DE co-presented a session with Barbara on “Design Thinking and Passion Projects.” Participants learned how to encourage more voice and choice for kids in project- and challenge- based learning. The Rodel Teacher Council had activities that encouraged people to get to know each other including ways to take fun selfies. Corwin donated 5 books, How to Personalize Learning for their raffle that Barbara signed. 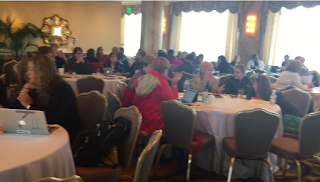 There were 75 participants in the Crowne Room on the 24th floor of the Fairmont Hotel with amazing views. Participants explored personalized learning with the Universal Design for Learning (UDL) lens so they could discover how learners learn best. 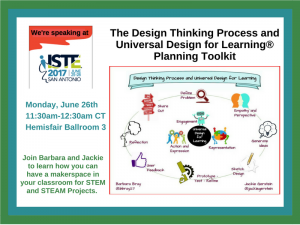 They used the design thinking process with the information from UDL to redesign instructional methods and learning environments. Barbara, @bbray27, facilitated conversations on project-based learning with attendees in groups sharing ideas how teachers can encourage voice and choice with each of the PBL elements. 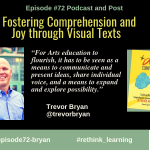 The protocols with the conversations used design thinking and going deeper with Yes-But, and Yes-And and then included What? So What? and Now What? Barbara also did an Ignite session on Sat. 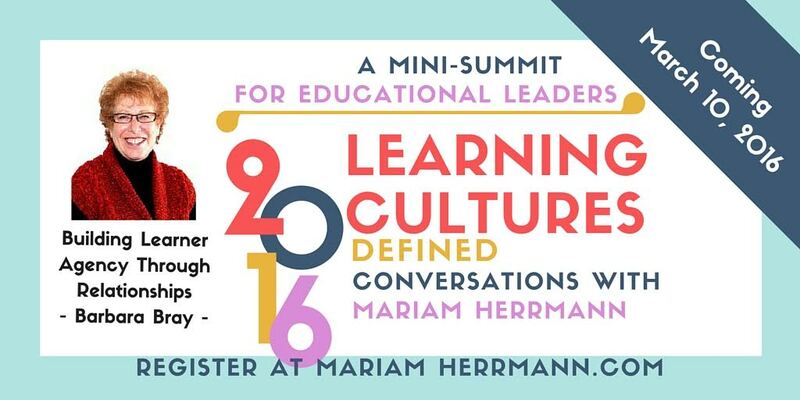 Jan. 28th (20 slides in 5 minutes) on the Future of Learning. Barbara also signed several books in their book store. 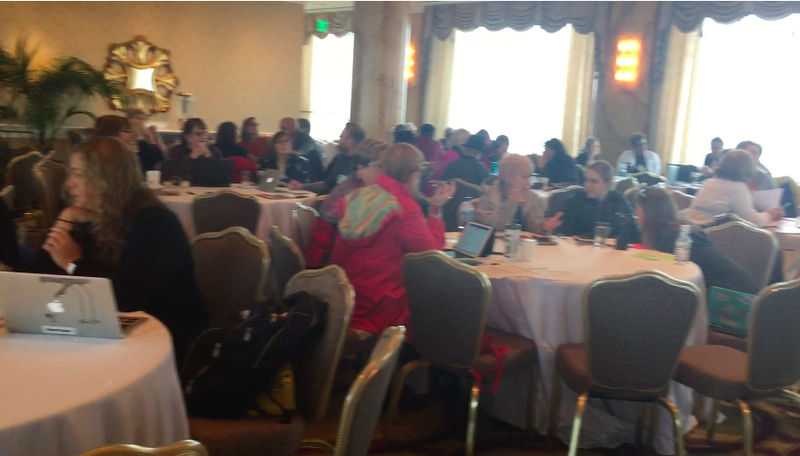 What a great conference with awesome educators even though it was very cold outside! 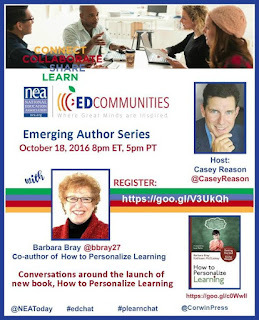 Casey Reason, Ph.D. Corwin author and professor with the University of Toledo in partnership with the National Education Association, edCommunities, and Corwin Press provides free webinars on the latest topics in education. 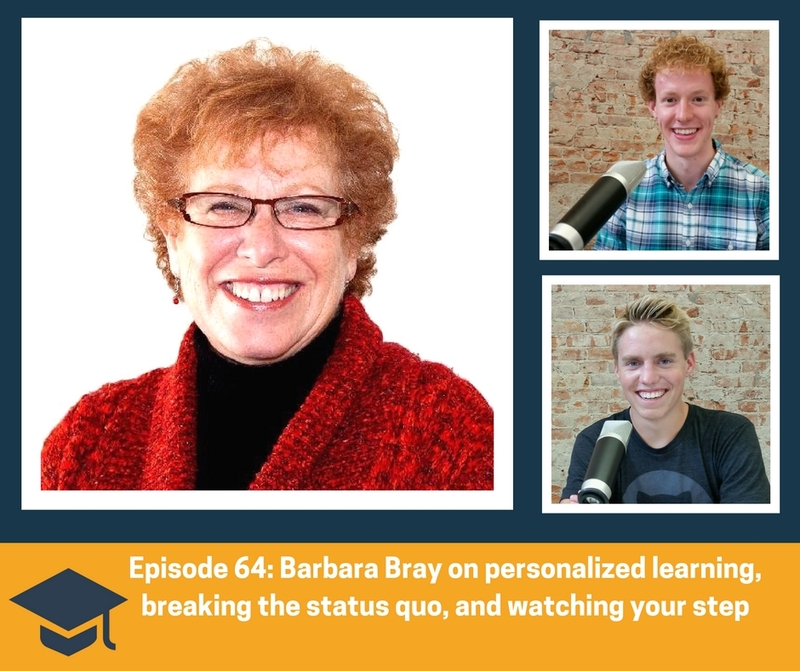 Casey interviewed Barbara Bray, co-founder of Personalize Learning, LLC and co-author of How to Personalize Learning. 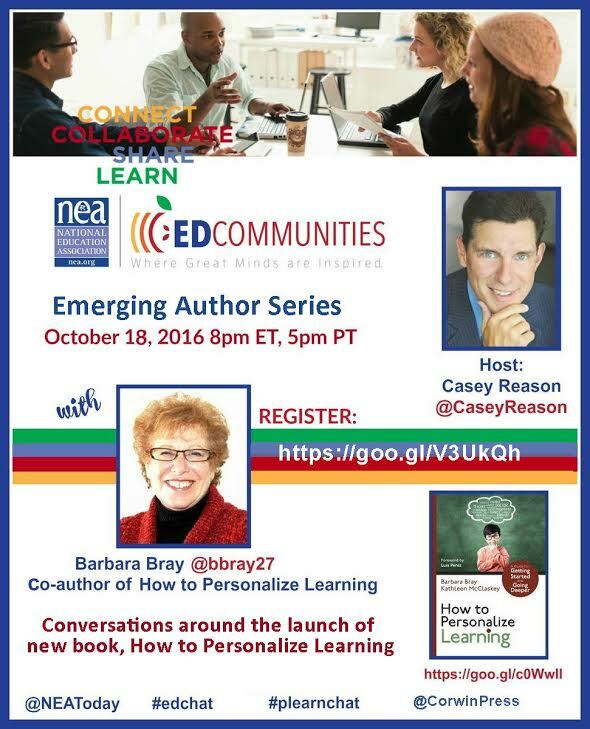 Questions and discussions for Barbara were about their new book and why now is the time to transform learning for all learners. Barbara shared ideas from book, How to Personalize Learning: Going Deeper, on how PBL helps learners develop skills that prepare them to be ready for college, career, and life. 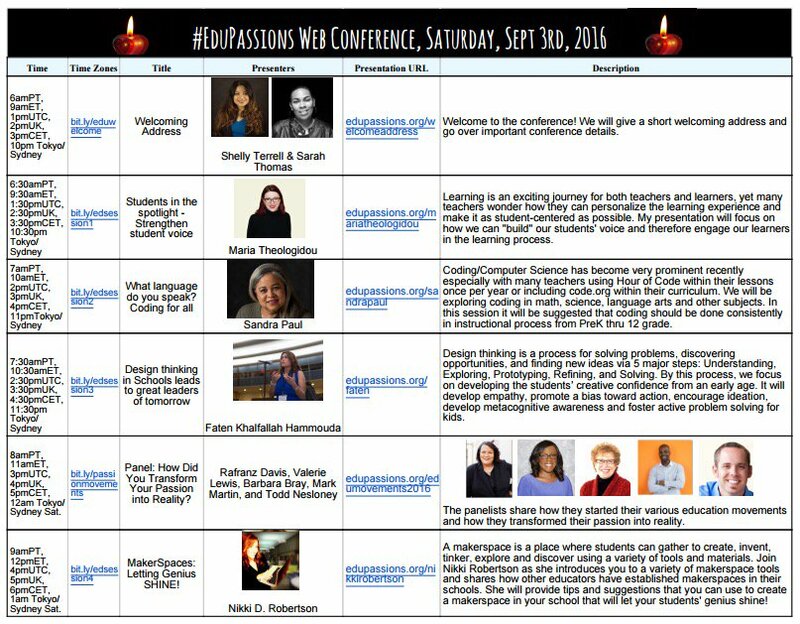 A free online conference, Sept. 3rd! How did you transform your passion into reality? Barbara Bray guided activities to develop strategies for the 300 principals across WCPSS to move their schools to learner agency. The Area Superintendents were the facilitators with about 25-30 principals each who went deeper with learner agency. The discussions brought about some wonderful conversations to help each school start designing next steps. 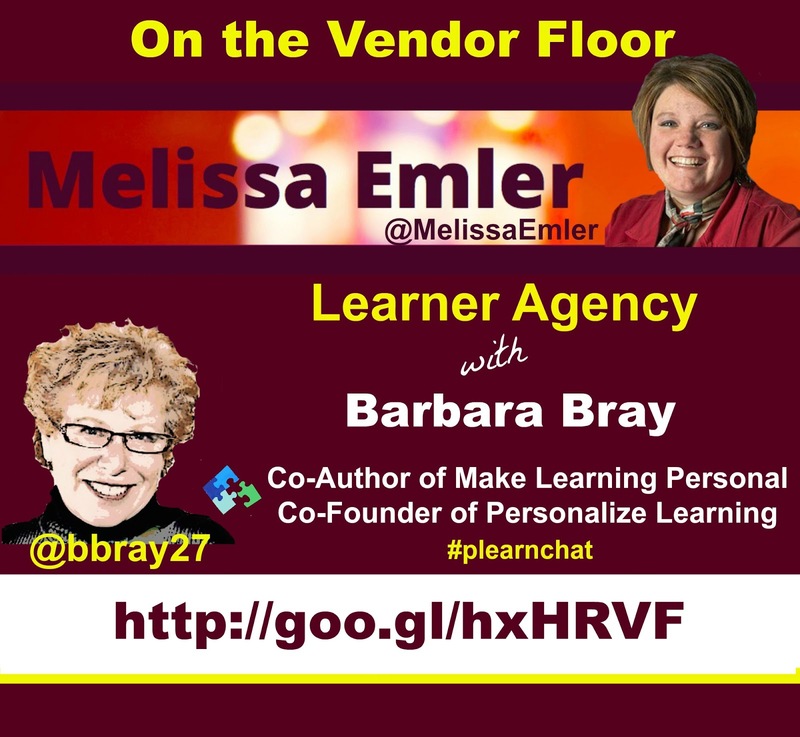 Barbara Bray trained and supported the coaches at Fulton County Schools in GA who became the Lead personalized learning coaches for the district. They reviewed research on coaching, mentoring, and facilitation strategies, role play situations that may be out of the teacher’s own comfort zone, and developed effective facilitation skills for face-to-face coaching and the online environment. Barbara presented 20 slides in 5 minutes around storytelling as part of Round 1 of the Ignite Sessions. Barbara shared stories with great messages, how everyone is a storyteller, and how teachers can share and encourage stories that inspire learning. 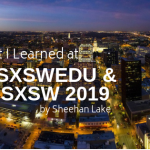 Barbara shared how teachers can meet several of the ISTE Standards for Teachers and Students as they move toward learner-centered environments by reducing barriers in the curriculum and maximize learning. 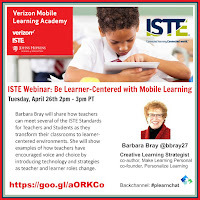 The take aways for this webinar were an understanding of Universal Design for Learning, the Stages of Personalized Learning across the Continuums, and examples from educators about how they move to learner-centered with mobile learning aligned to ISTE standards. Barbara gave a book away to Ken Williams, teacher from Virginia who asked some great questions about personalizing learning. 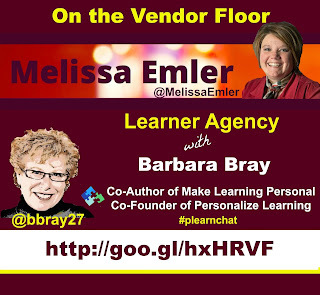 Melissa Emler (@MelissaEmler) interviewed Barbara Bray for her podcast show, On the Vendor Floor. Barbara Bray provided a keynote on Tuesday, August 11th: Learning is Personal: So What Does that Mean for You? 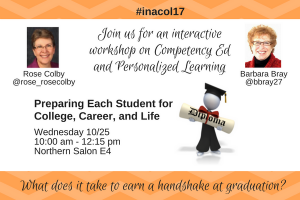 Then a whole day follow up session from 10:00 am to 3 pm: Make Learning Personal: The What, Who, and Why of Personalized Learning. There were 43 educators and 2 walked away with our book. 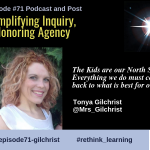 WHAT CAN YOU DO TO REACH ALL OF YOUR KIDS IN YOUR CLASS? 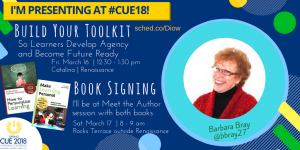 BARBARA SHOWED PARTICIPANTS HOW TO CREATE A CLASS SNAPSHOT AND TOOLKIT TO DESIGN INSTRUCTIONAL AND LEARNING STRATEGIES THAT MEET THE NEEDS OF ALL THE LEARNERS IN YOUR CLASS. Barbara Bray facilitated an interactive workshop where participants wove research, sto, ies and practical strategies together to create a deeper understanding of what it means to personalize learning. 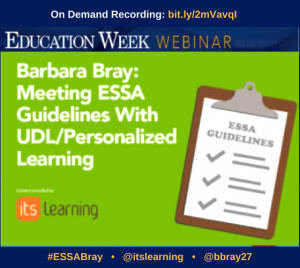 Barbara Bray facilitated 2 sessions around research and strategies along with stories to create a deeper understand of what it means to personalize learning. Barbara raffled off 2 books and did a book signing. 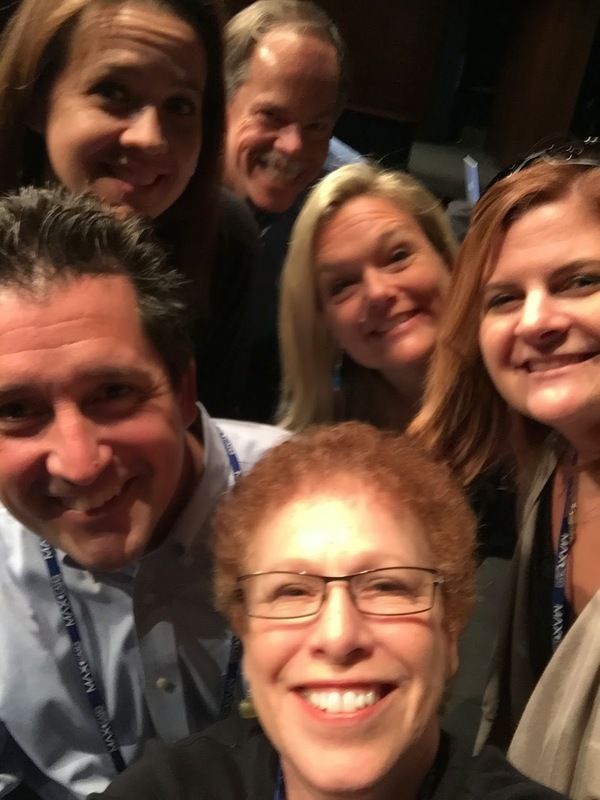 Barbara participated on a panel with Elizabeth Calhoon, Jon Corripo, Rob Darrow, Susan Stewart, and Diana Darrow to discuss how personalized learning is the umbrella for a blended learning environment.